What a pretty flower Vicky and it makes a fabulous brooch. It's the perfect gift card! 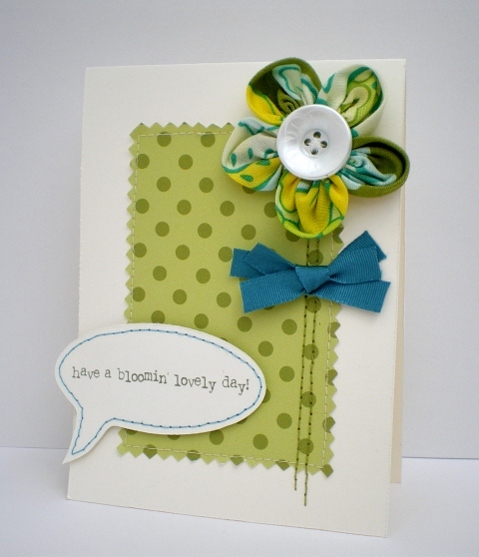 What a fab creation Vicky and lovely idea to make your flower into a brooch! This is beautiful Vicky and a perfect gift, I love the brooch. Fabulous card and brooch. I'd like to know how you managed to print your sentiment all wobbly on the computer, it looks great. Another stunning make Vicky, hope everything is okay with you... it seems like an age since we did the course together. What an absolutely fabulous creation...the whole concept is just so unique and I love the colours you've chosen. Once again, beautiful work Vicky ~ it's gorgeous!